Beta Snapmakers are ALL Shipped Out! 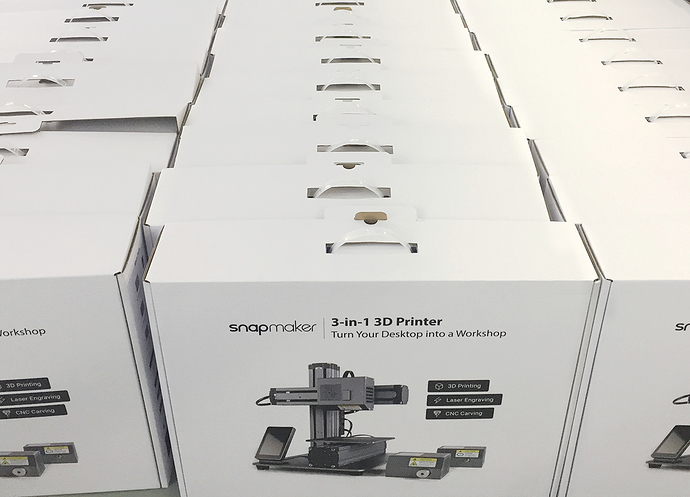 We can’t wait to share you the BIG NEWS - today, all beta Snapmakers are shipped out! Bravo! This is the first milestone on our delivery journey! We are glad that all of you are here to witness this important moment with us! If you want to see how the real product looks like on the beta adopters hand, our facebook group is where you should go. In addition to conducting tests for all modules, we also have selected samples at random, assembled them and conducted more tests. All of the sample machines perform excellently and the results are satisfying. 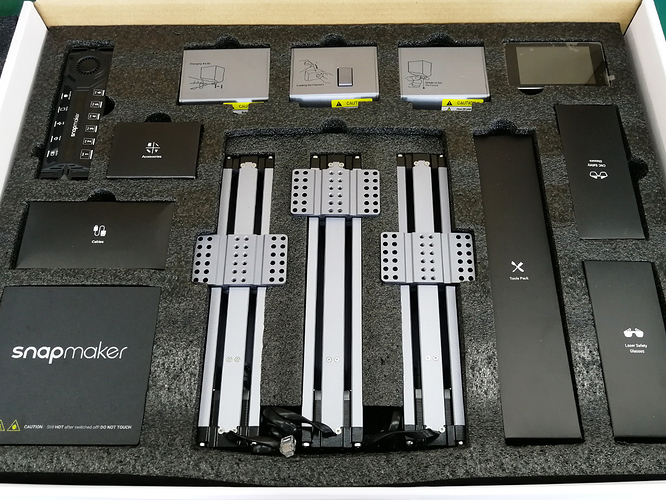 As the first batch of production is delivered successfully, we are inviting reviewers to review our product. If you have a favorite YouTube channel, recommend it to us. We will make a list and contact the most influential ones. It would be great help if you can tell your favorite YouTube reviewer about us. Though the first goal is achieved, we are not getting slack. We will keep up the good work and bring you another good news soon. Will you be advertising a schedule for future shipments? I realise you probably want a little time to receive feedback from the beta shipment. There are a few great YouTube channels that have done great reviews of other 3d printing products. Joel Telling @3dprintingnerd, Angus @MakersMuse, and Thomas Sanladerer. Thank you for your remind. 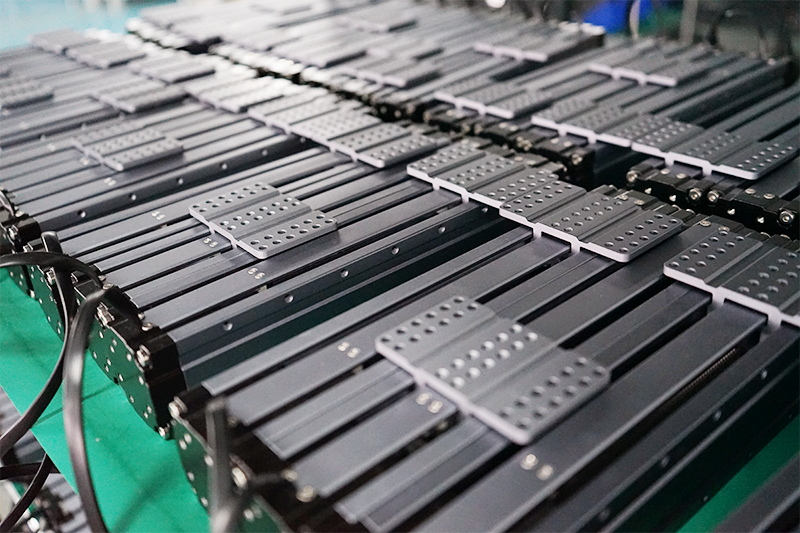 Yes, we will update the schedule for future shipments based on feedback from the beta adopters. We are trying to reach these 3 YouTube reviewers too. It will be great help if you can mention us on their channel. Thank you! @Rainie I like your measured approach as it makes me feel comfortable that when it is my turn, that I will receive a top quality device. So don’t rush, even when everyone is screaming for their Snapmaker. Good job! What a milestone. Very excited and great timing. Mine is scheduled for Nov 7th and my birthday is the 8th! I’m a beta recipient but have not received my shipment. Who should I contact? If you’re in the US, it’s likely stuck in Customs in Anchorage with the rest of them. No way to know how long the delay is, as they are holding an entire container. They said anywhere from 48 hrs to 30 days. So far it’s been a week. Also, you should have received an email with the Shipment Tracking Numbers Spreadsheet. Look up your Purchaser Number in that list. And check with the shipper. Mine was Fedex. Thank you. I did receive the spreadsheet but have not determined where to find the backer number. I have gone back to all emails thinking I missed it but still have not located it. You can locate your pledge number by logging into kickstarter and then go to the snapmaker page. From there you should be able to “view pledge”. Scroll to the bottom and you should see an area that says backer #. On a side note I super disappointed with the way the tracking numbers were sent out. Highly unprofessional and not in the least bit secure. I’ll be surprised if they don’t have a large number of packages swiped off doorsteps with the way the tracking numbers were sent out. If anyone from snapmaker needs me to elaborate on the critical error PM me. Thank you! I agree the tracking information was poorly done. Thank you for the advice about how to send the tracking number. We found that BackerKit survey has a function to send tracking numbers separately. If it works, we will use this function to send tracking numbers next time. As far as I’ve noticed, there was news about the schedule on the 6th of november, ten days back in history. When I look into this update, I wonder what the schedule says about the backers (like me) who backed between March '17 and June '17 ? Am I complaining ? No… I’m very patient because I strongly believe in this product and company. But maybe it’s a little note for better transparancy (like we used to from the beginning and all the cool updates we got in the first 5 months). Another note, I didn’t receive a BackerKit survey as far as I searched through my email history, I didn’t got the news in my email inbox too like the update above on the 6th of November, if it’s said those first normal backerkits will be send in late november, I had to received that BackerKit survey ? Received mine yesterday, yea. 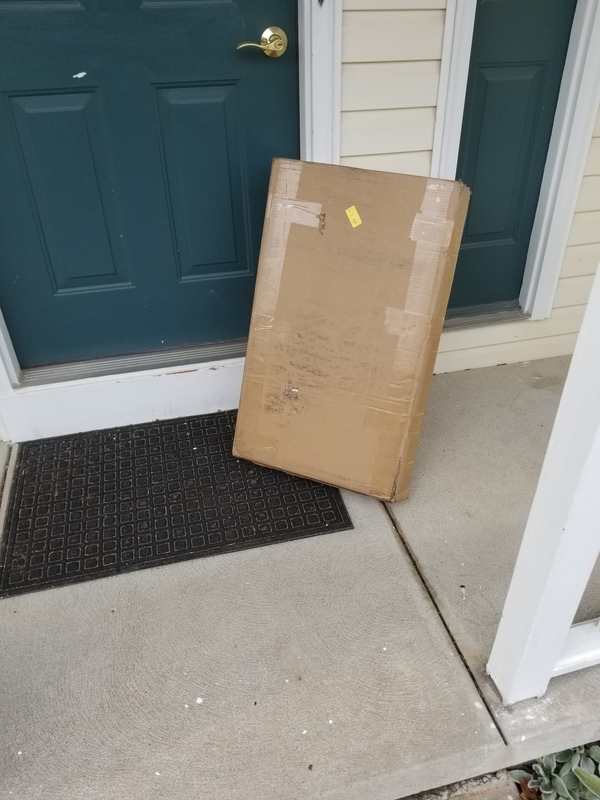 Was waiting at my front door. Went together easy. (Ignore the messy table). 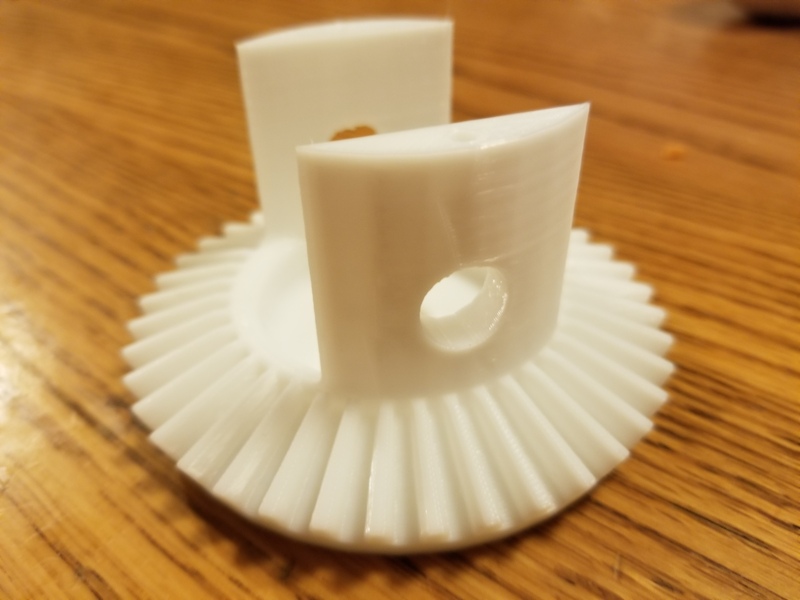 Woke up to this first print this morning. I really like it. Nice job SnapMaker!!! 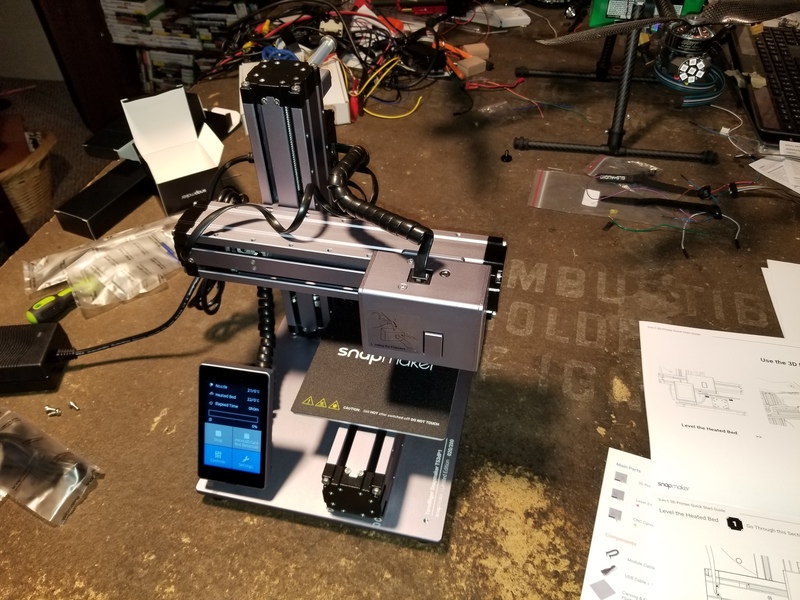 How do I find out my “official” order number and/or rank order in the “shipping to me someday” for my snapmaker? You can see the schedule posted by Meike. You placed the preorder on August 14. So according to the schedule, your Snapmaker is estimated to be delivered in late November. I am happy waiting in the background, my order was dated 23 July. 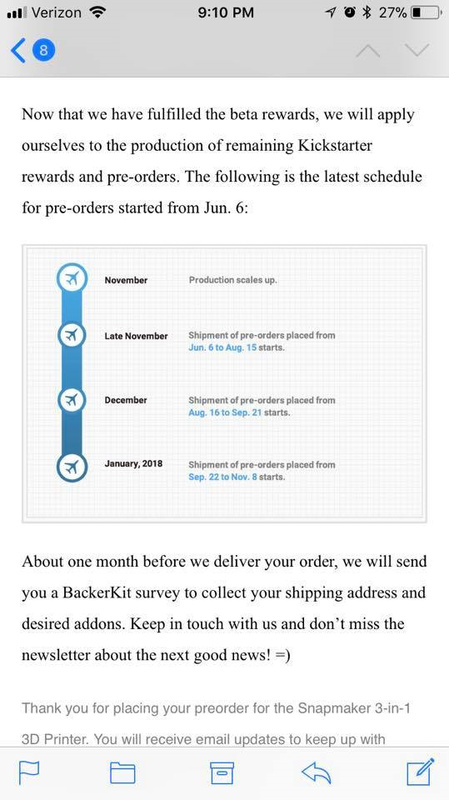 I note the mention above that orders during that period are due for delivery late November, however I have not as yet received a BackerKit Survey.